We have just launched an absolutely incredible new tour here at Grape Escapes, and we are just itching to tell you all about it! 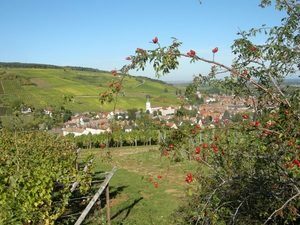 We’ve also been working to extend our offerings in Alsace; this is the smallest region in metropolitan France, but is packed with cultural and gastronomic delights, as well as plenty of vineyards and excellent wines! Our newest break is based in Colmar, simply read on for more details. 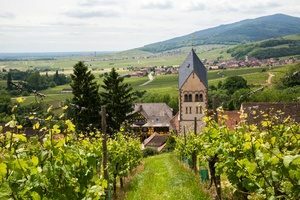 The Ultimate Wine Experience: 5 Regions in 15 Days! If you are looking for the ultimate wine tour, which will introduce you to a broad selection of red, white, rosé, and sparkling wines then we have the perfect experience for you. 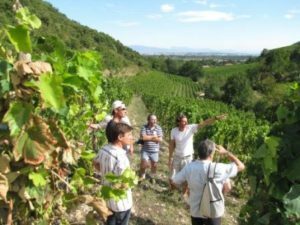 Our brand new Grand European Wine Tour will take you to visit a large number of wineries, including prestigious estates and smaller, family-run producers. You’ll spend three nights in Florence with visits to three Super Tuscan wineries starting your trip off in style, followed by three nights in Bordeaux, then two nights in Reims tasting some brilliant bubbles! We then organise a two night stay in Burgundy, followed by a night in the city of love and lights – Paris! Your final three nights will be spent in Rioja, and amongst other unique activities, here you will have the opportunity to participate in the Logrono tapas run – a fantastic experience! All flights and rail travel between the regions are included, and prices start from £3418 per person. 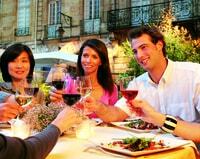 You’ll find Colmar located on the Alsace wine route, around 64km south-west of Strasbourg. Based at your choice of two 4* hotels in the city centre, this three or four day break offers you the opportunity to discover the wines of the region, with a full day guided and transported tour to visit several estates in the heart of the surrounding vineyards. You’ll also visit some picturesque local villages, giving you the chance to soak up the delightful atmosphere of the Alsace countryside! Those great wines will be complimented with fantastic food, as you will indulge in a traditional French dinner accompanied by two local wines. With some free time to explore Colmar at your leisure, you may like to explore the area ‘Little Venice’ with charming half-timbered houses, or to discover the local market! Package prices start at just £355 per person on the three day break.